Cellulitis is an infection of the skin that typically happens after a break in the integrity of the skin. A break in the skin can be something as small as a paper cut or a similar wound or could be a crack in dry skin. Essentially, any break in the skin can become a doorway for bacteria to enter and create an infection in the skin. Surgery patients often have large or multiple incision sites where cellulitis can develop after their procedure, making proper wound care especially important until the wound is completely healed. It is normal for bacteria to be on the skin. In fact, bacteria live on the surface of normal, healthy skin. These bacteria are referred to as "normal flora". When skin is not healthy or has an opening such as a wound, the bacteria that make up the normal flora can penetrate to the lower levels of the skin, where the infection begins and, in some cases, becomes cellulitis. Most cellulitis infections are caused by one of two strains of bacteria: streptococcus and staphylococcus. These two types of bacteria cause the vast majority of cases and are present on the skin of many healthy individuals, but other types of bacteria can be responsible. Knowing the type of bacteria responsible for the infection makes it possible for the healthcare team to choose the right antibiotic for treatment. An antibiotic may be the perfect treatment for one type of bacteria and not work at all on another type of bacteria. Any condition that causes a break in the skin can be a risk factor for cellulitis. Surgery is a major risk factor for any type of skin infection due to the incision(s) necessary to perform a procedure. Incisions are sometimes large, or in some cases, there are multiple incisions, which increases the risk of an incision. Poor wound care can be another risk factor for cellulitis, as a routine and gentle cleansing of the incisions is key to prevention of surgical incision infections. That said, too much cleaning of a wound can make it dry and irritated, which can also create more ways for bacteria to enter the skin. Remember that a large wound is not necessary for a skin infection to begin. 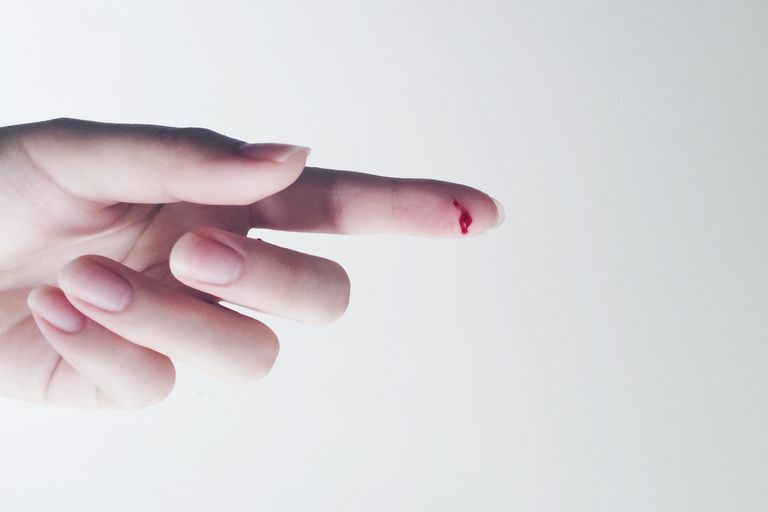 A small wound such as an insect bite, a hangnail, or even a skinned knee can be enough to allow the infection to set in. Luckily, the average person can easily fight off an infection and cellulitis is not a very common surgical complication. A weakened immune system makes cellulitis more likely, as does advanced age. Diabetics, in particular, are at risk for cellulitis because their immune system is often impaired and they may have diminished sensation, which can result in the infection being further along when it is first noted. Most skin infections start with redness around the area of the incision, but there may also be pus, pain, and heat in the area. Cellulitis, which is a specific type of skin infection, typically results in a red and painful area of skin that seems to start abruptly and quickly becomes larger over the next day. The skin is typically angry in appearance, hot to the touch, and may appear tight and/or shiny. Serious infections are often accompanied by feeling weak or generally under the weather, fever and chills may be present and there may be swollen lymph nodes near the site of infection. Most cellulitis occurs in the legs, but it can occur almost anywhere on the body. For the surgery patient, the site of an incision is by far the most common site of infection. Any infection of a surgical incision, or even a suspected infection, should be reported to the surgeon. Redness around a wound is often normal, but pus, drainage, increasing pain, heat at the site and fever should all be an indication that care is needed. Surgical incisions require immediate treatment, a wait and see approach can lead to a more serious infection that is far more difficult to control. For most patients diagnosed with cellulitis, an oral antibiotic is adequate to treat the issue. However, in serious cases, a stay in the hospital and IV antibiotics may be needed. For most people, 1-2 weeks of antibiotic should be adequate to control the infection and prevent more serious complications. Ignoring cellulitis can have very serious consequences, ranging from cellulitis that lingers longer than necessary, to cellulitis that spreads from a small area to a large area of adjacent skin. Cellulitis can also become a serious systemic infection called sepsis. Prompt treatment can dramatically reduce the healing time, the amount of treatment required and long-term complications. Preventing any infection can be as simple as good hand washing. Preventing cellulitis can be as simple as following the surgeon’s instructions for caring for your surgical incision, taking the time to keep it clean and change your bandage as appropriate. If you have dry skin, drinking more water and using lotion or ointment on your dry skin (not at your surgery site) can help prevent breaks in the skin and prevent infection. If you suspect a cellulitis infection in a wound, surgical or otherwise, it is best to seek treatment from a skilled healthcare provider without delay. Wound infections can quickly go from a minor nuisance to a major problem in very little time. It is hard to imagine that a wound infection can become a life-threatening problem, but in some cases, cellulitis can be difficult to control and challenging to treat.